So, it’s been my first week at my new job after a whole summer off! I am excited and nervous (and not used to the early starts!) but looking forward to the week ahead. A whole summer off I hear you ask? !, I got married recently here in North Wales and spent an amazing two weeks in Mexico for our honeymoon. Shortly after returning, we went to a music festival in our campervan then spent another week in Sardinia, Italy. Right now I am sat at my desk writing this blog. Sounds like an anti-climax right? After so much excitement I am actually really looking forward to living back in the real world. So a little bit about my background, once finishing school I went to Deeside College where I spent 2 years on a Business Studies course, this then lead me onto the AAT where I first met with Sage (Sage 50 to be exact). Once I completed my AAT (Association of Accounting Technicians) Level 3 I went to work as a Purchase Ledger Clerk for a sofa factory. I didn’t enjoy my role here much as I felt that what I had learnt was not needed for the role I was in and wanted to go further. So, I took a totally different career change after this as I became a beauty technician opening my own shop. The flexibility and the social side of this industry was perfect for me. Meeting new people and creating great friendships. This was always going to be a temporary career path for me as me and (my now husband!) decided to leave everything to move to France. Are you a fast learner who quickly picks up new skills and technology? Love talking to people? Fancy a new challenge? Come work in a rapidly evolving and growing team with loads of potential for you to grow. In a job that is fun, challenging and constantly changing and will give you skills in both finance and IT. I applied instantly with the hope I would get this role and was excited at the prospect. I met with Kate and Hannah and knew then that this job could be more than I had hoped for. After spending a trial day with Sioned, we agreed on a date I would start which has now been a week past! I have already learnt so much in my new role as Trainee Support Technician for Sage 200 but there is still a long way for me to go. My first week here has involved a lot of training, which has been interesting learning parts of such a well known system. Writing guides on what I have learnt has definitely been beneficial for me as I feel I have a kinesthetic learning style, going through the software step by step then writing down what I have done. I have had a lot of help and support from the support team but also every other person here in the office. It is nice to see a company whose employees really do enjoy helping each other out. My week ended on an even bigger high when the whole office was rewarded with Pizza!! Pepperoni Passion my favourite! 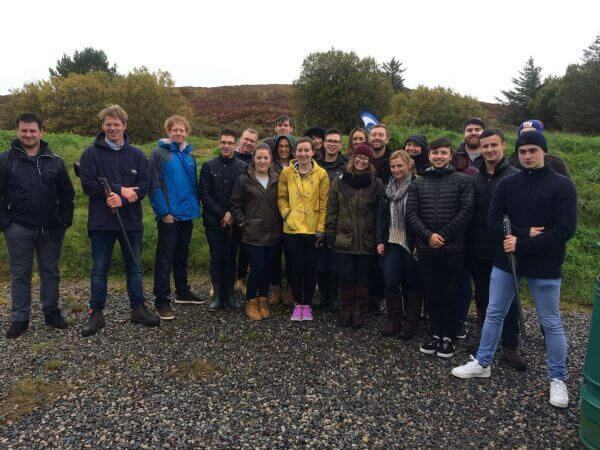 Saturday was my first team day out, the destination; Clay Pigeon Shooting. This was the first time I had ever been and was great getting to meet everyone out of work. Even the rain didn’t spoil our day! 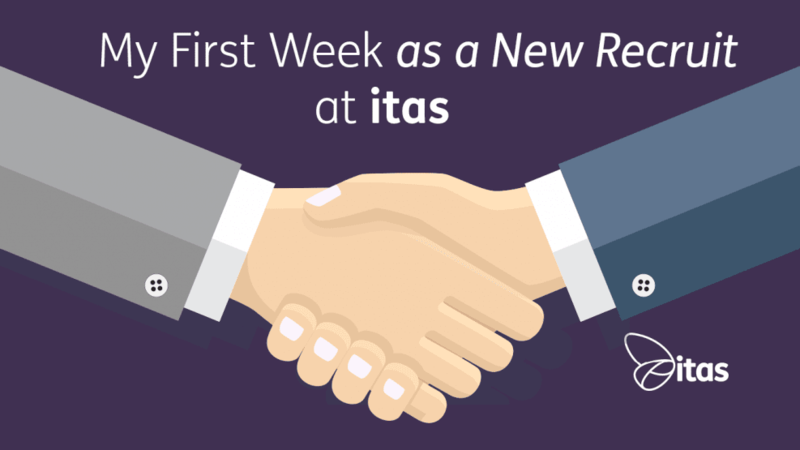 Now as I start my second week at ITAS, looking at the diary for my week ahead I am grateful to the amount of training I am going to be given, knowing that it not only benefits the company but me individually. I have already learnt so much and cannot wait to continue down my new path, continuing personal development and getting to know the whole team here more. It is awesome to already feel part of something great and know things can only get better! I am optimistic for the future at ITAS and believe that being part of #teamitas will give me endless possibilities to grow.